Special PDF ebook includes fillable fields for digital dreaming and doodling! 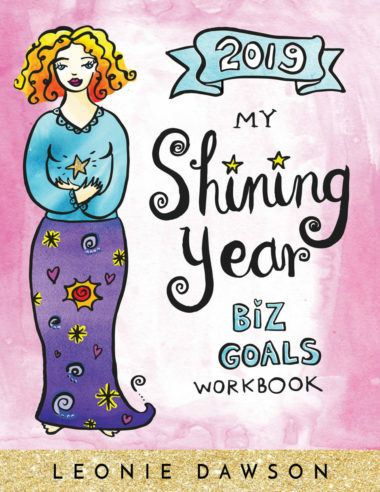 Plan, create, and grow your shining biz in 2019! 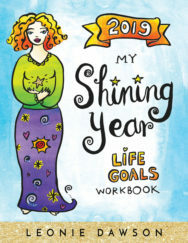 Discover the original and best goals workbook on the market—as featured in the Huffington Post and used by over 300,000 women worldwide with incredible results! Are you ready for 2019 to be your most incredible year yet in business? Join the revolution and the tribe of hundreds of thousands of women who use this creative and inspiring workbook to take themselves to their next level of shining success in 2019. A portion of profits from every book sold goes to support Kiva and Suluhisho Children’s Village in Kenya. Leonie Dawson is an internationally bestselling author and artist, founder of the Shining Biz and Life Academy, and one of the highest-ranked sales consultants for doTERRA in the world. A popular blogger since 2004, Leonie is a well-regarded life and business mentor. She has been recognized as an Australian Business Woman of the Year and Ausmumpreneur of the Year finalist. 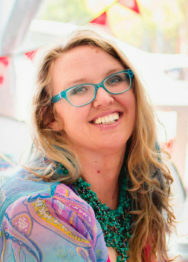 Leonie is the former editor of the United Nations award-winning Australian Government website for small businesses. Leonie can be currently found on the Sunshine Coast, Australia with her husband and two daughters, setting wildly ridiculous goals for herself and consuming vast quantities of tea and Victorian romance novels in equal measure.